I've been catching up on some new Harlequin category books by a few of my favorite authors this month. Here are my thoughts on the first two. Hayley and Cristos were probably too young when, after a whirlwind courtship, they married against both of their families' wishes but they were deeply in love and determined to be together. Two and a half years into the marriage, a crisis tore them apart and, with the help of her family, Hayley disappeared from his life without a word. Two and a half years after that, while Cristos is attending a family celebration on a Greek island, she reappears just as abruptly...with divorce papers in hand. Desire and deeper feelings still simmer between them but Hayley has buried the past and has no desire to face the emotions that are sure to arise from revisiting it with Cristos. She's made a new life far away to which she plans to return as soon as she gets Cristos' signature on the papers. Will a freak storm give Cristos the time he needs to convince her to give them a second chance? Shepherd brings a lot of emotion to this second-chance love story, touching on sensitive topics such as depression, self-worth, and cross-cultural marriage. She makes her characters work for their happy ending in a satisfying romance that is sometimes heartwarming, sometimes heart-wrenching, and carries enough humor, sexual tension, and uncertainty to keep me engaged from beginning to end. Note: If you like your covers to match your characters, check out the UK cover for this book. It's exactly how I pictured Cristos! Sheriff Cole Payette has had a crush on bar owner Honey Armstrong since arriving in Rodeo, Montana several years ago but has never acted on it. In fact, he barely talks to the beautiful, free-spirited woman. But when he suddenly leaves town then returns, grief-stricken, with two grieving young children in tow, it's to Honey that he turns for help. After the death of her deputy fiance, Honey has vowed to never become involved with another lawman but the more time she spends with Cole and his young niece and nephew, the more that vow is tested. Both Cole and Honey have their reasons for avoiding relationships but when two of Cole's reasons, his estranged parents, show up in town with unreasonable demands, working together may be their only hope of protecting his niece and nephew. Will it also be what opens their eyes to the joy to be found in a life together? I've thoroughly enjoyed the first four books in Sullivan's Rodeo, Montana series and have become invested in the lives of these characters and the future of their small town. Her characters are fully developed and relatable, leaving me with the sense of having made new friends with each story I read. 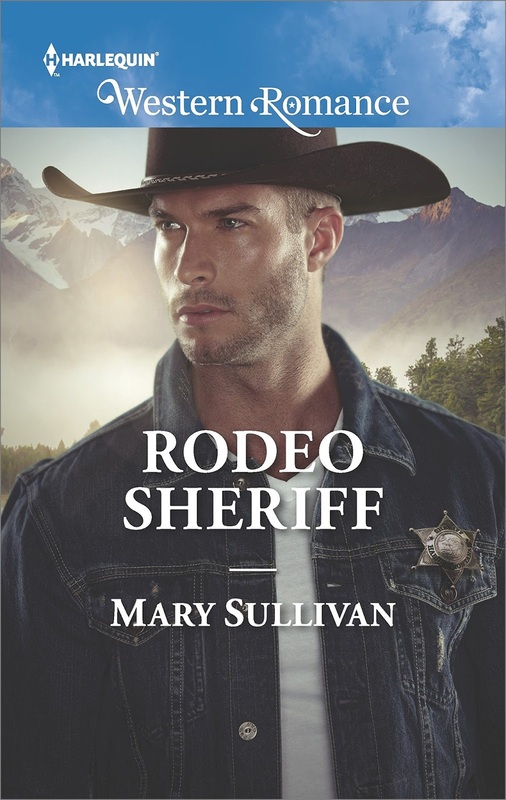 Children have had key roles in many of these books, including Rodeo Sheriff, and Sullivan has a particularly deft hand in creating these young characters who bring an endearing, sometimes humorous - but always realistic - quality to the pages. 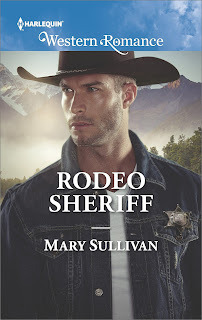 The sense of community, depth of emotion, and complexity that she brings to these characters and their stories has made Rodeo Sheriff another addition to my keeper shelf and Mary Sullivan one of my auto-buy authors. Do you read Harlequin category romances? Do you have a favorite line? I'm so disappointed that the Harlequin Western line has been cancelled. I'm keeping my fingers crossed that all of my favorite Western authors will find a new home for their wonderful stories. The stores around here don't carry many Harlequin books anymore and I don't like to purchase these at full price in ebooks. I usually wait until they're discounted. I used to find future break-out authors in category romance, such as Nora Roberts, Sarah Morgan & Jessica Bird. Even Judith McNaught started here. It doesn't seem like it's a training ground anymore for up and coming writers. There's too much competition with self-publishing and I'm not sure buyers will pay nearly $6 for a 220 page book in an ebook format. My local stores don't carry many Harlequin print books anymore either but I read almost exclusively in ebook so that's not an issue for me. While category may have been viewed as a "training ground" in the past I don't think that's the case now. At least, not for the authors I read. There are some very good writers out there who excel at shorter length stories that bring the satisfaction and emotional punch usually found in a longer-length novel. FYI...if either of these two books pique your interest, they are available in Kindle format at $3.99 (Stranded with Her Greek Tycoon) and $2.99 (Rodeo Montana). I used to find a lot of them at the public library. They don't carry them at any of the stores around here. PJ, are they not going to carry BJ Daniels or Maisey Yates anymore? BJ Daniels and Maisey Yates both write for the HQN line so they're okay. It's the Harlequin Western Romance line that's been dropped. I've only started recently to read them and do enjoy them. My library has some and I've been able to pick up some older ones at my Half Price Books. I am so disappointed that the Harlequin Western and Love Inspired Historical are being ended. I will be buying a lot less books from Harlequin after June. I have boxes of Harlequins. They are perfect to grab when I really don't have time to read and want a good book that won't take too long to finish. The Suspense, Intrigue, and Historical lines are my favorites. I enjoyed the Westerns and am sorry to see they discontinued. I know of at least one author who found another outlet. I just read scp's comment stating the Love Inspired line will also be discontinued. This is the first I have heard of it. I hope it isn't true. There are several inspirational authors I like and most of them write for that line. I know in this region of the country Christian fiction is very popular. It will be hard for so many authors to find someone new to carry them.